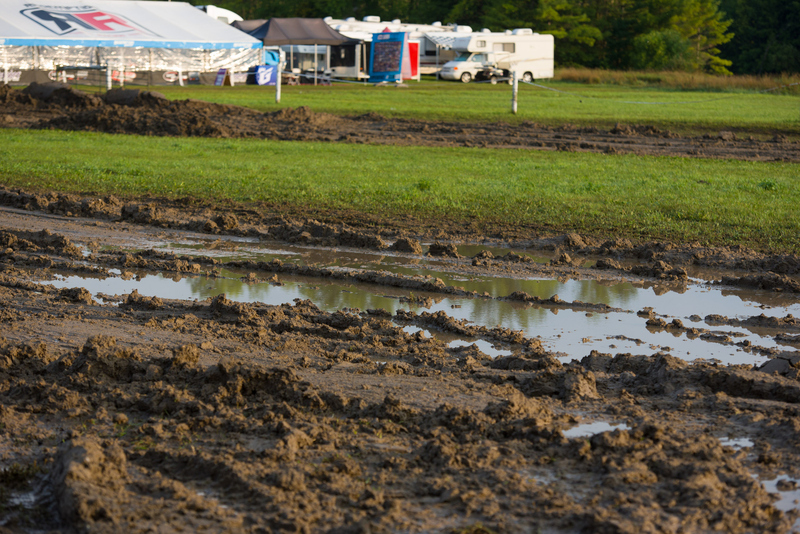 Heavy rains meant we woke up to this for the final round of the 2018 Rockstar Energy MX Tour series. 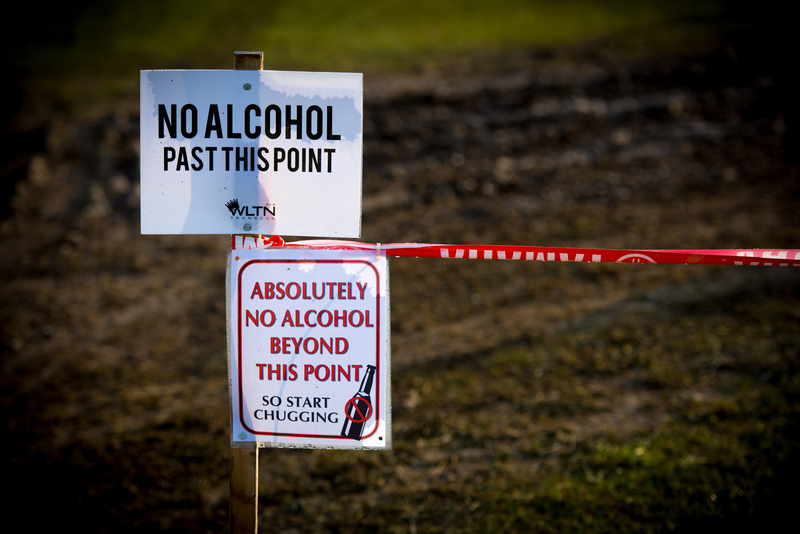 I feel like Gauldy made this sign. 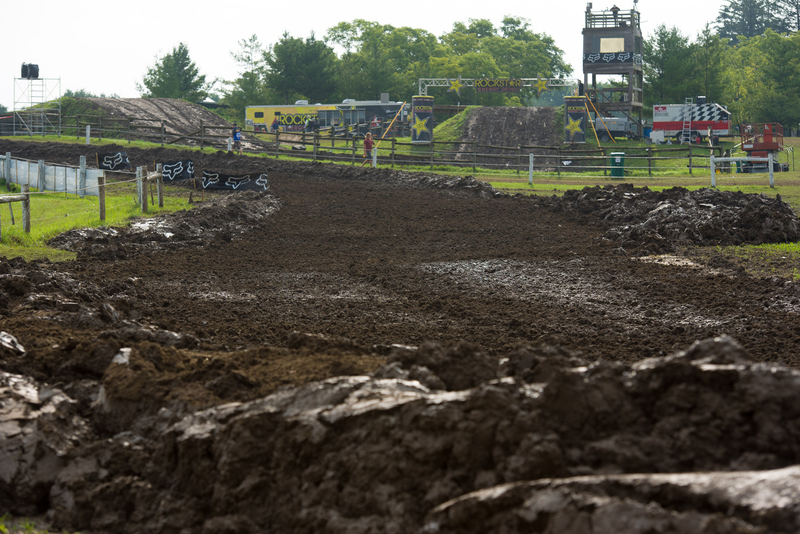 Once they pushed all the slop off, the track wasn’t too bad. The super team of Beaton and Donk were reunited. 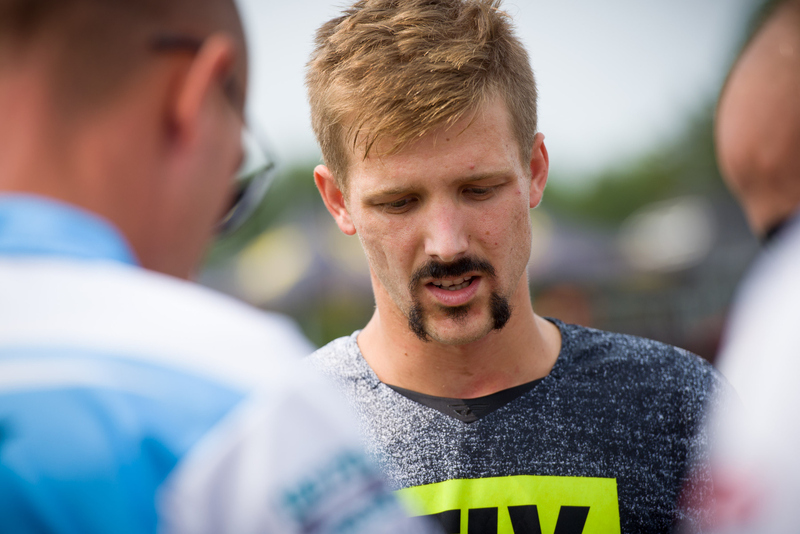 Josh Osby got a fresh goatee for the final round. 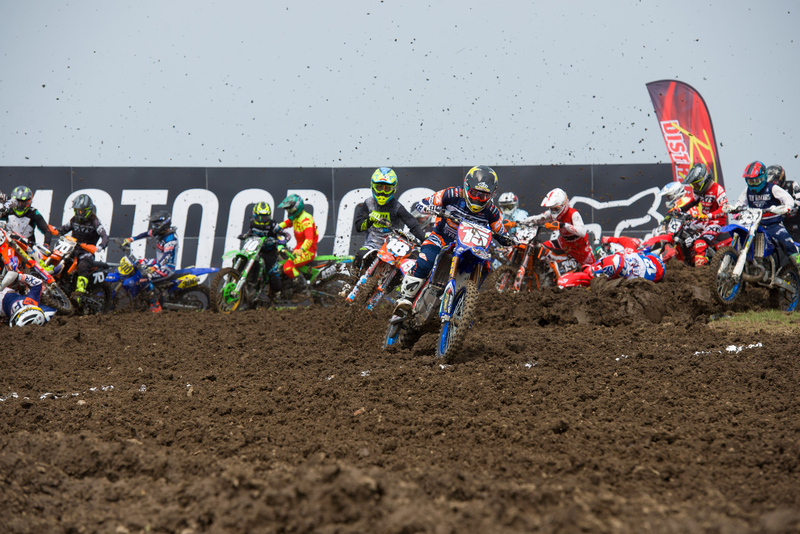 With a three point lead going into the final round, Jess Pettis laid it all on the line and grabbed the early lead while Joey Crown and Dylan Wright found themselves on the ground. 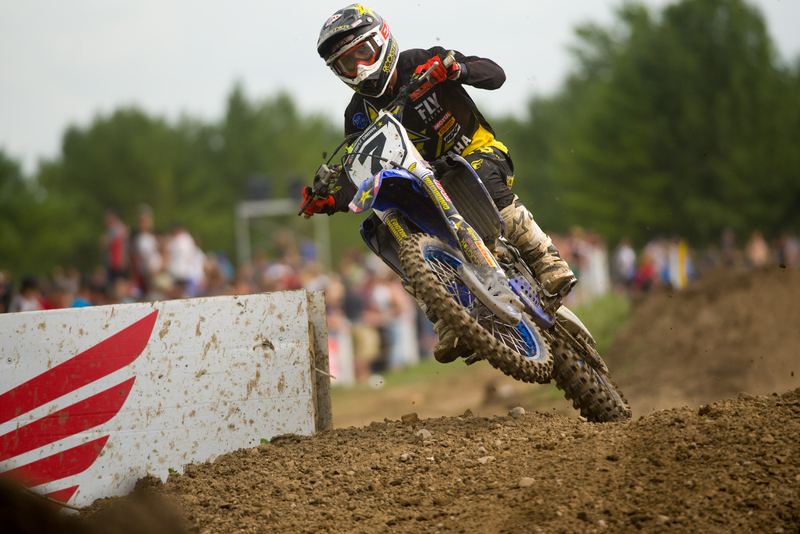 Pettis’ teammate, Marco Cannella led the opening lap on his way to his first career podium finish. Bermuda’s Jyile Mitchell raced the Amateur races all week and then went old school and lined up for both classes on Saturday. 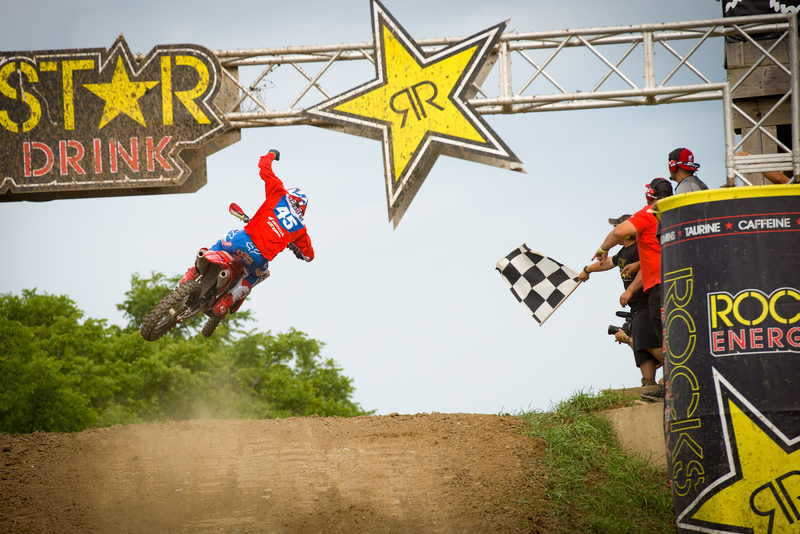 His best finish was in the 250 class, going 6-6 for 6th overall. 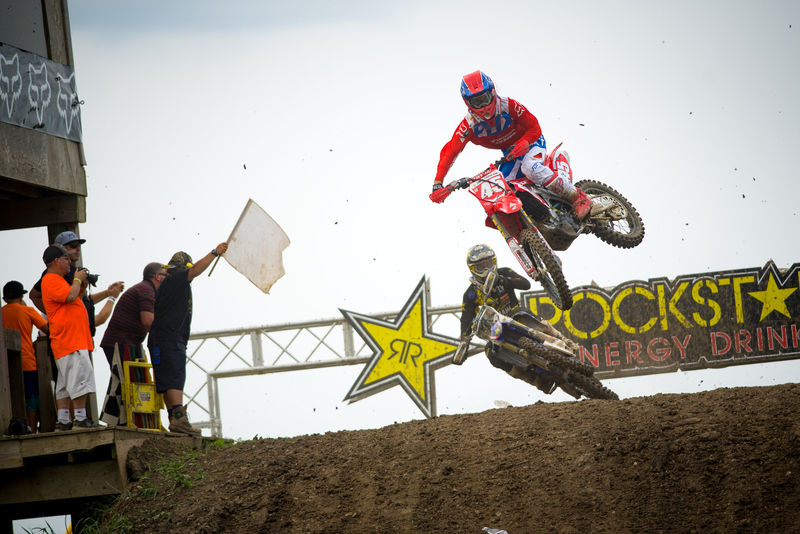 He went DNF-9 for 15th in the 450 class. 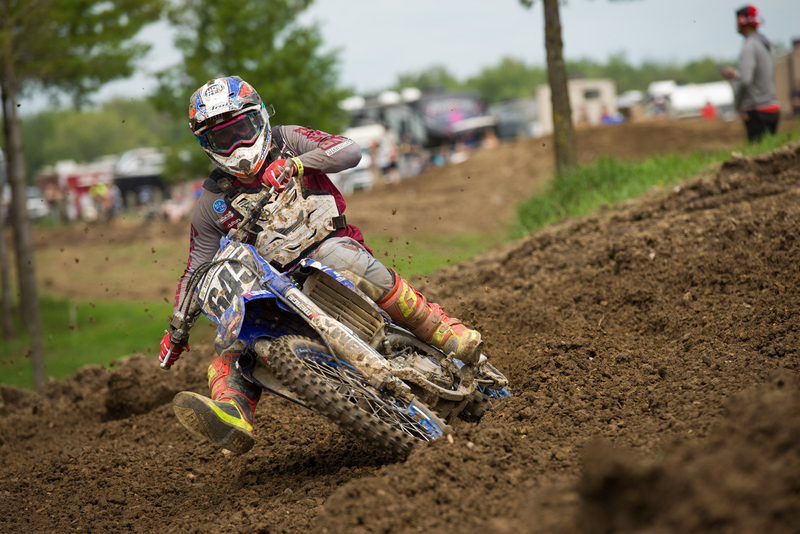 Joey Crown came back to 8th in moto one after his first turn crash and backed it up with a second in moto two but came up just short in his quest for the 250 championship. 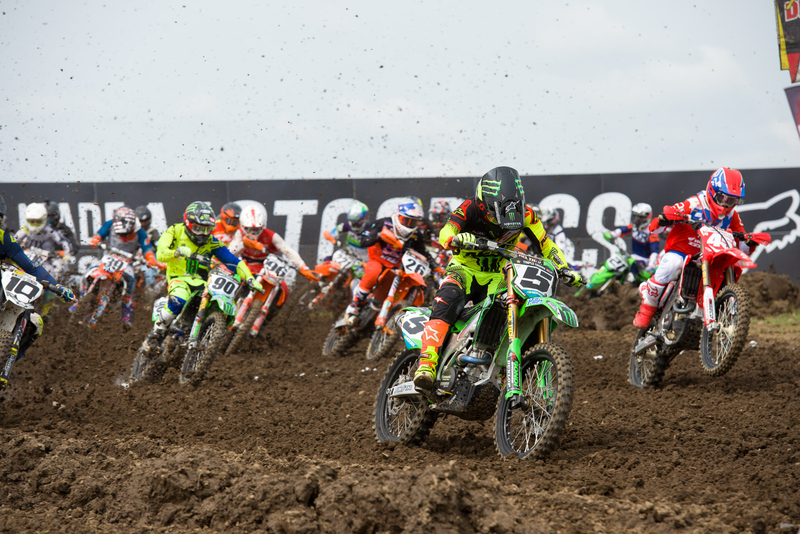 Dylan Wright was the quickest 250 rider on the day, coming back as well from the first turn crash in moto one, but getting all the way to second and then riding to the win in moto to take the final overall victory of 2018. 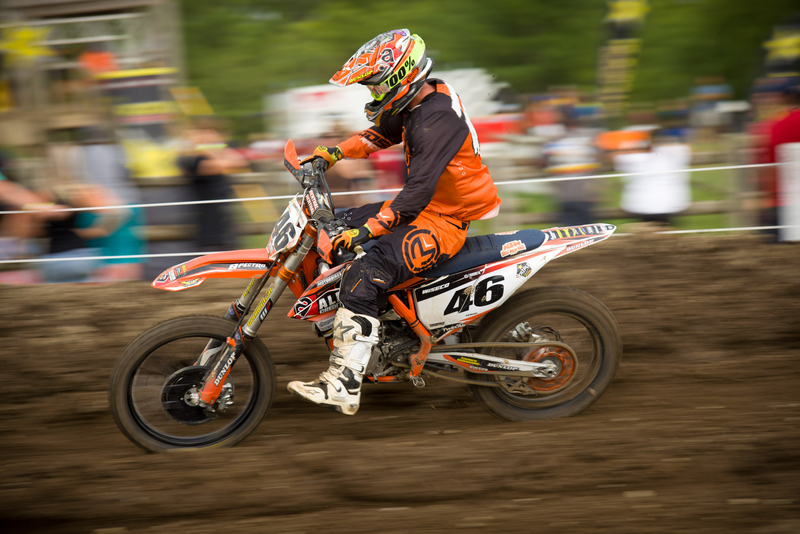 In his final appearance with the number one plate, defending champion Shawn Maffenbeier could only muster fifth overall. 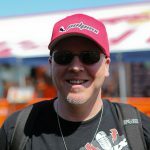 He was solid all year but could never quite find the burst of speed that propelled him to the 2017 title. 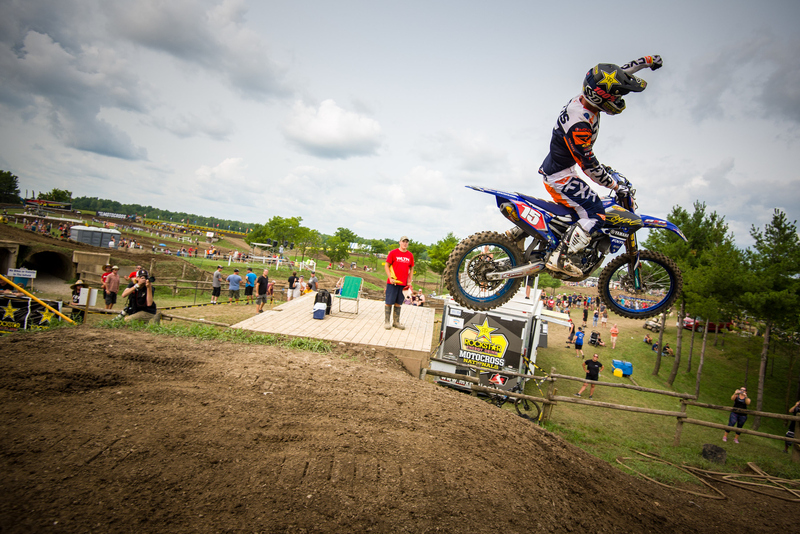 Third place in the final moto was good enough for Jess Pettis to clinch his first ever Canadian Championship. 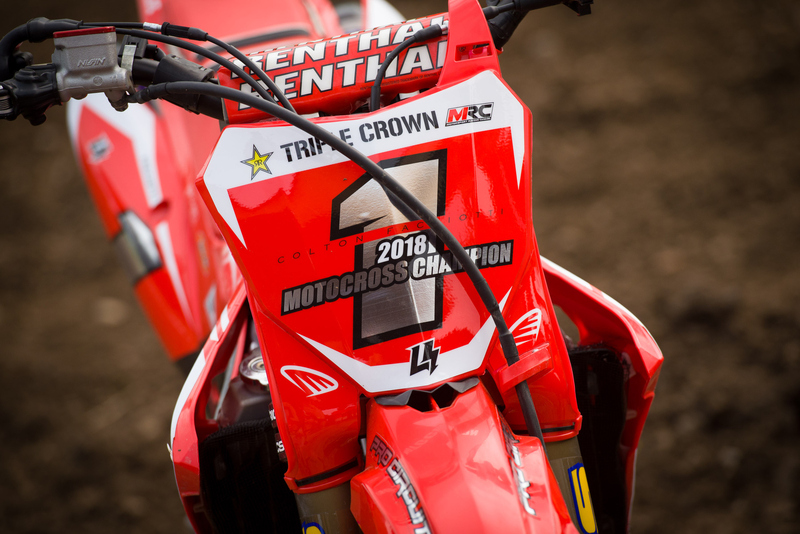 It’s been a long time coming for the often injured British Columbia native but now Pettis will take his championship form into his first appearance on Team Canada for the MXdN. 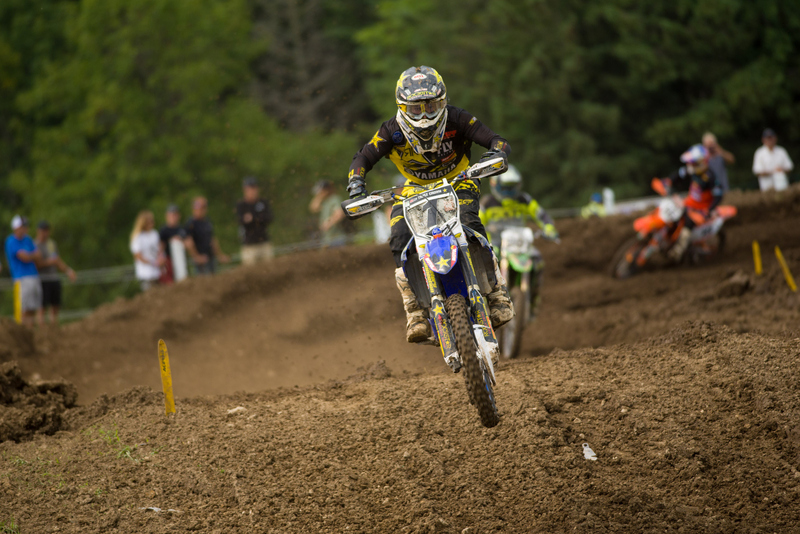 Tyler Medaglia grabs the hole shot for the 450 class in moto one. 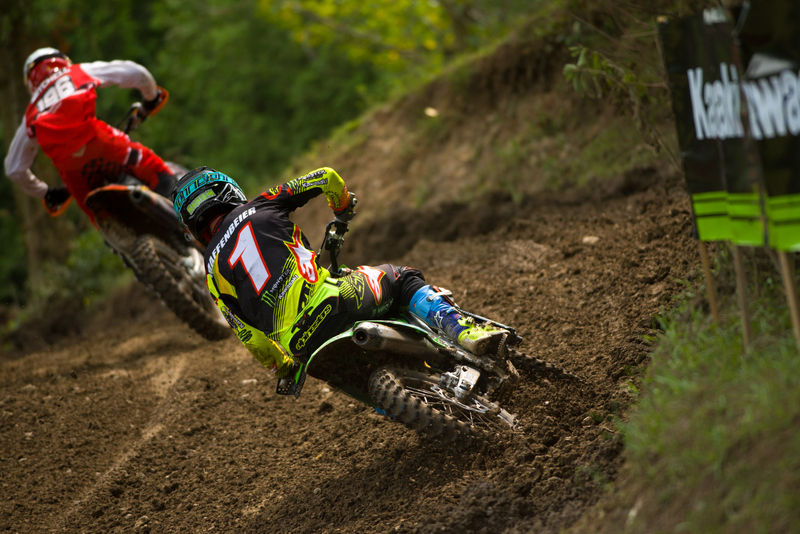 The ageless John Down continues to rewrite what is possible for a 50+ motocross racer. 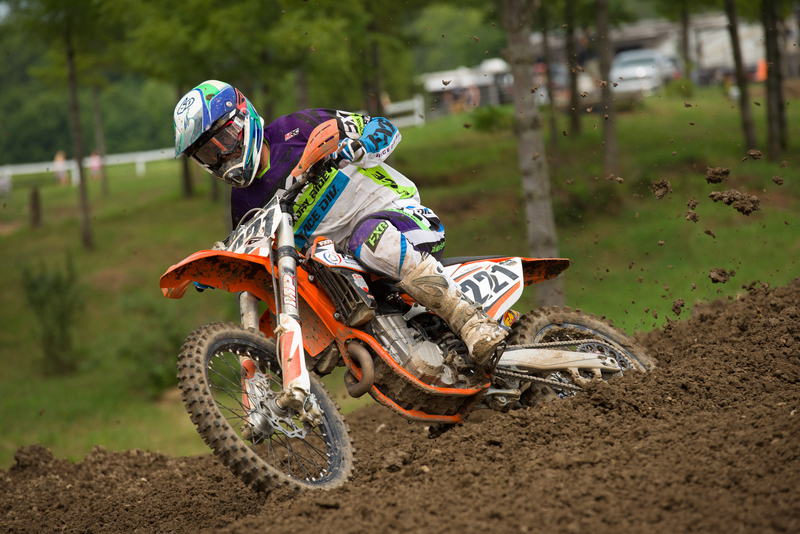 The legendary New Englander finished top 20 both motos, going 17-19 for 19th overall. 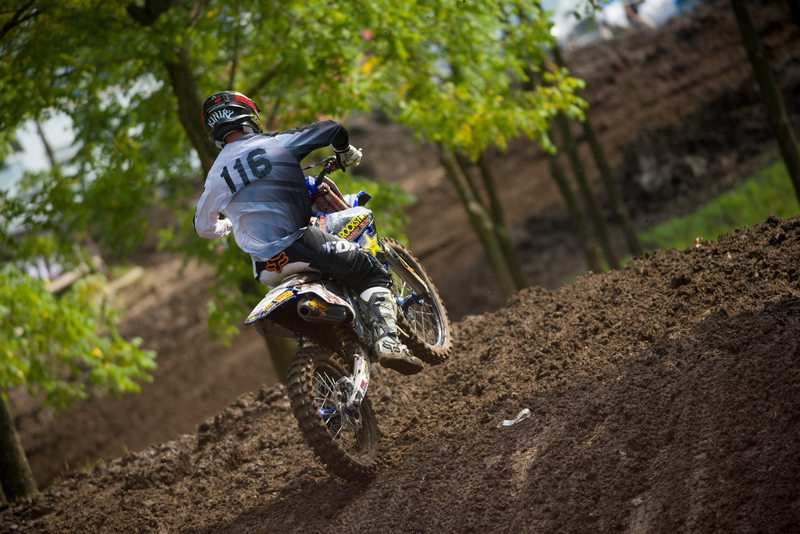 Michigan’s James Roberts just snuck into the top 20, finish the day with 16-21 finishes. 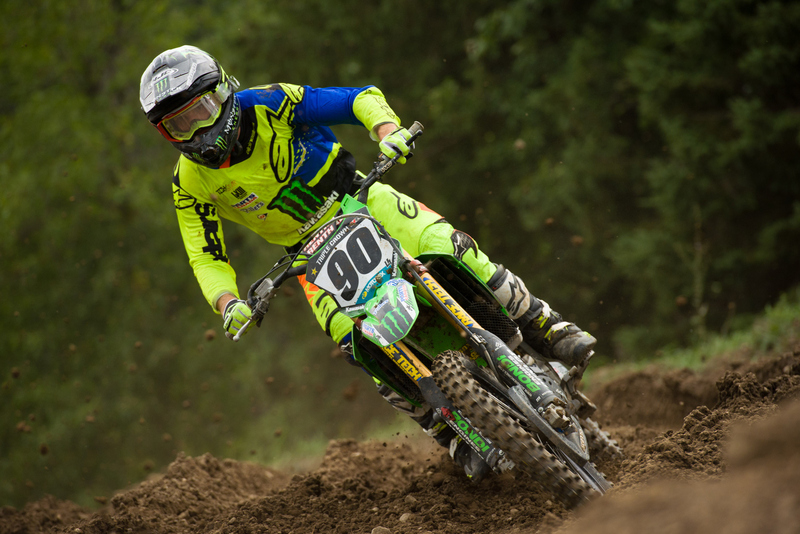 Dillan Epstein finished his 2018 season with a top 5, with 8-5 moto scores. 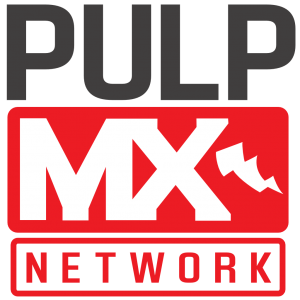 Mexico’s Felix Lopez made the trip up to Walton and was solid in the 450 class, riding to 5-12 finishes for 8th overall. 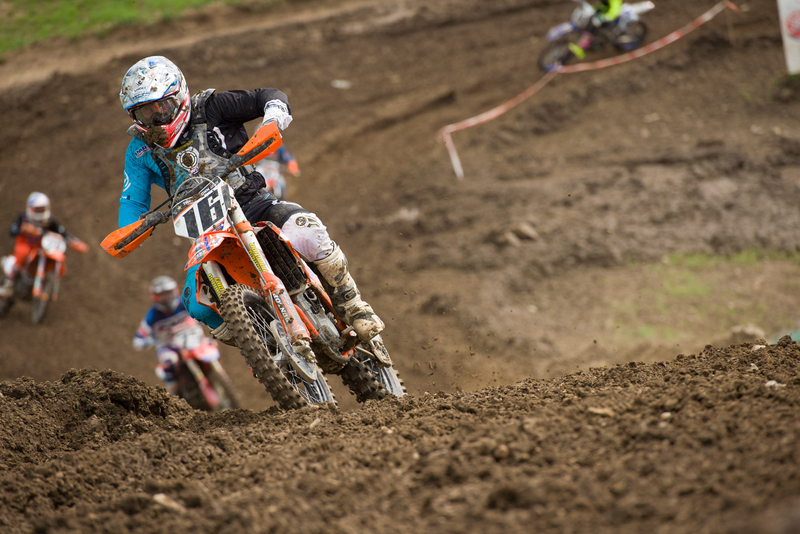 In a last minute decision, Bobby Kiniry decided to line up to race, the first time since his career ending injury almost two years ago. 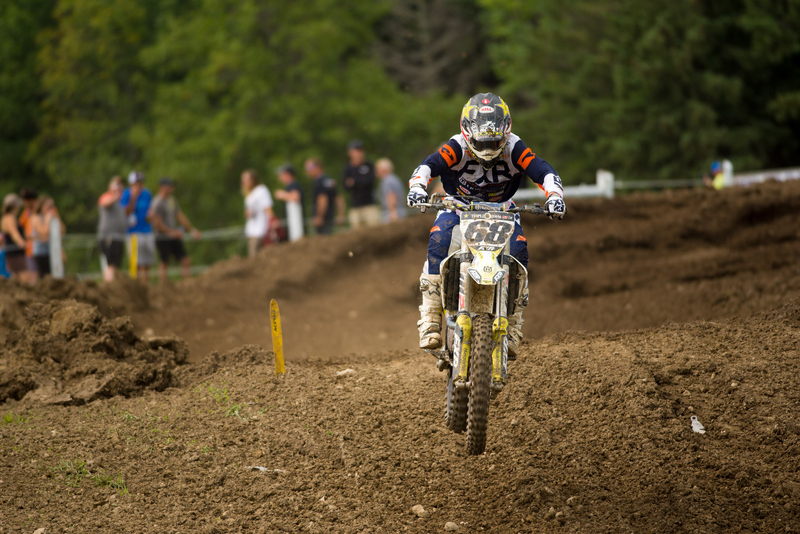 He fought bike setup issues on his borrowed bike in qualifying and didn’t make the time cut. 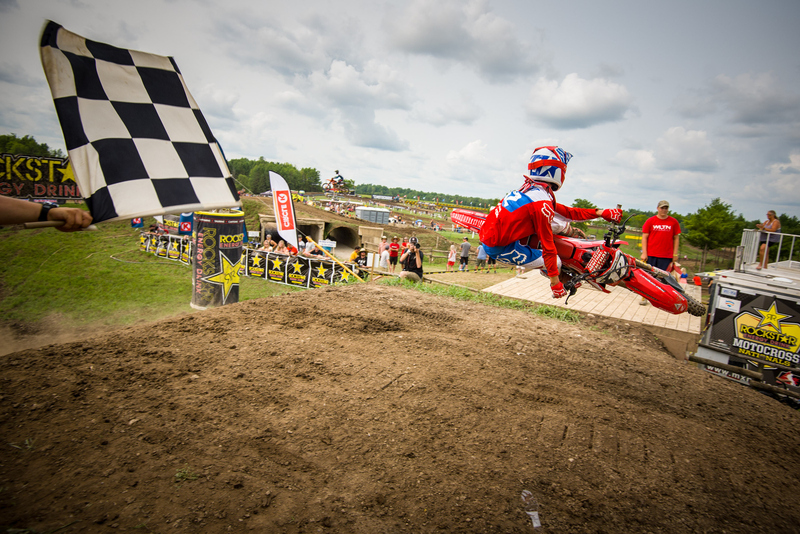 Things were tight between Colton Facciotti and Matt Goerke heading in to the final lap of moto one but Facciotti held him off to take second in the moto and a couple extra points to pad his championship lead going into the final moto. 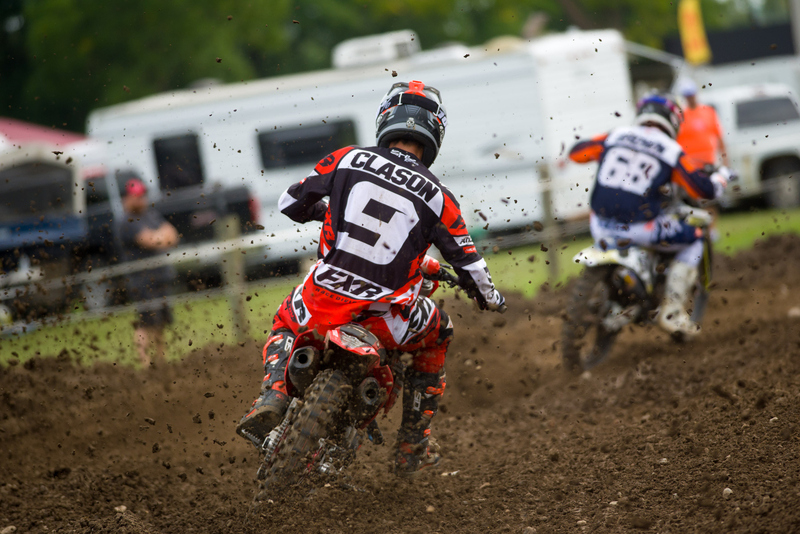 Cade Clason capped his 2018 season off with a 7th overall finish. 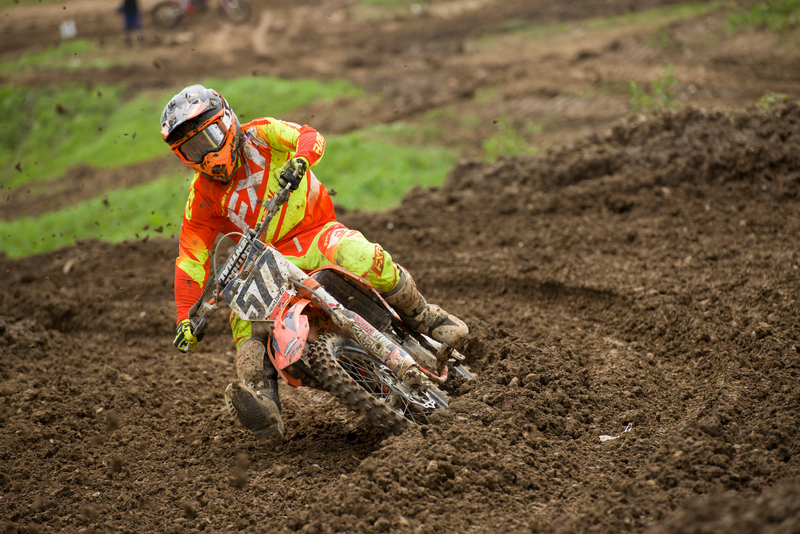 Jacob Hayes came all the way from last to 9th in moto one and finished 7th in moto two, good enough for 6th overall. 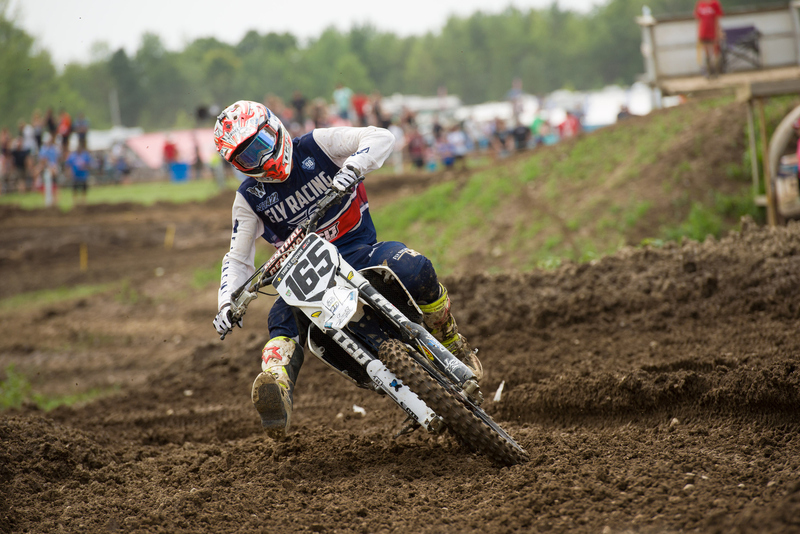 Texas’ Cheyenne Harmon finished his maiden Canadian season with 14th overall. 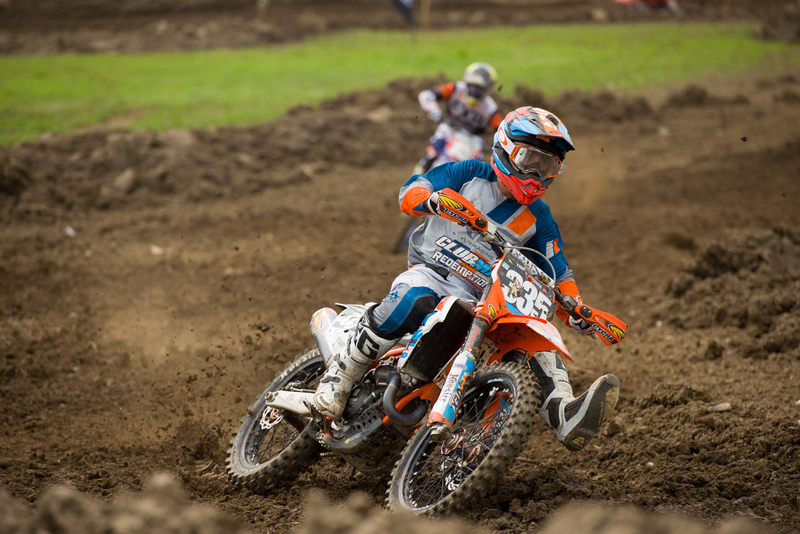 Cole Thompson was one of five riders with a mathematical shot at the title going into the final round and finished on the podium with 4-2 finishes for third. 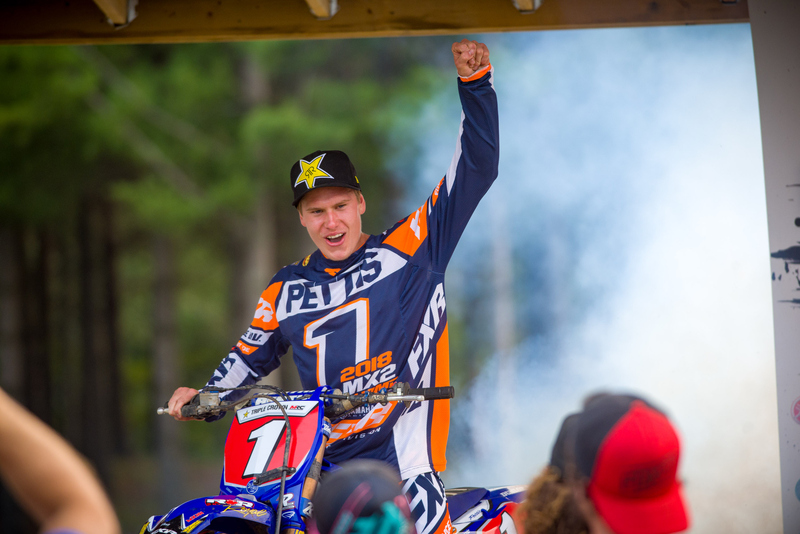 The renaissance season continued for Tyler Medaglia, as the two-time 250 champion grabbed his second moto win of the season at Walton. 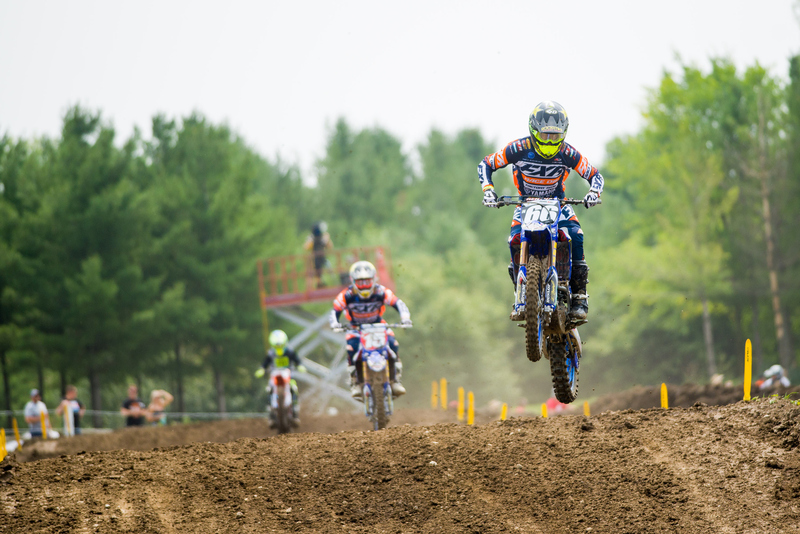 The defending champion, Matt Goerke, had another consistent day at Walton, finished 3-3 for third but like the rest of the season, couldn’t find the speed to grab a win. 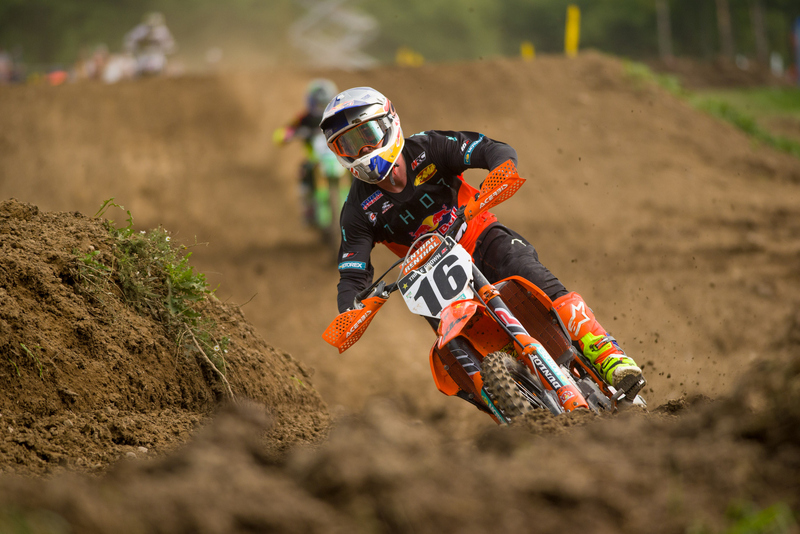 Just like Dowdy, Mike Brown doesn’t let age get in the way of going fast. 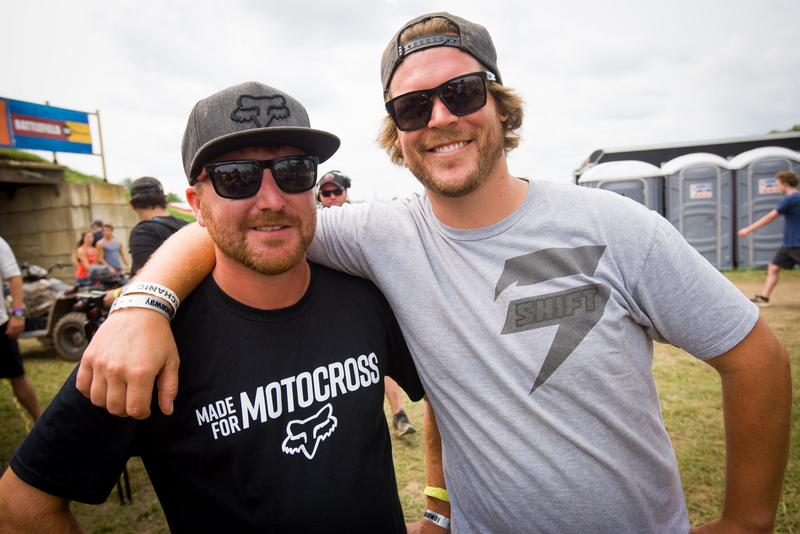 The former AMA National champion grabbed a 6th place in moto one, on his way to 11th overall. South African turned Canadian, Liam O’Farrell, lined up for Walton and pulled another top 10 finish off, finishing 11-8 for 10th. 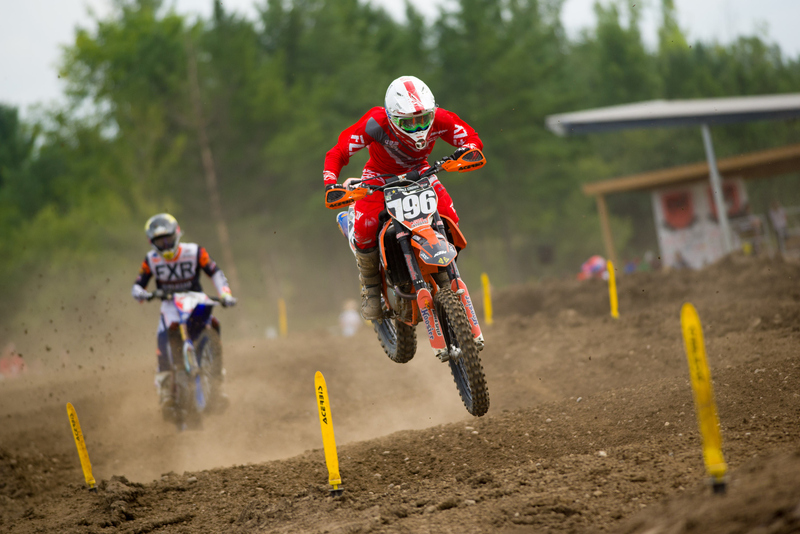 The younger Down, Ryan, finished his Canadian season off with 13th overall. 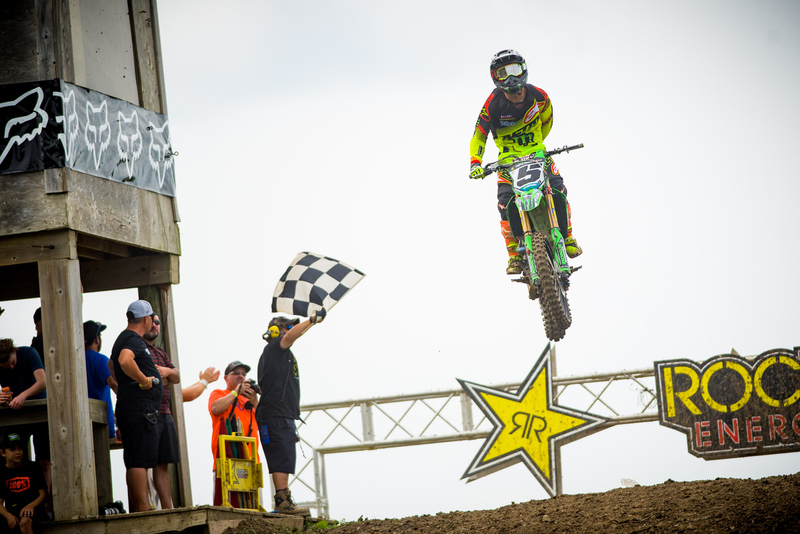 He didn’t need to win it to clinch the title, but Colton Facciotti went out and rode away from the competition in moto two to grab the overall win. 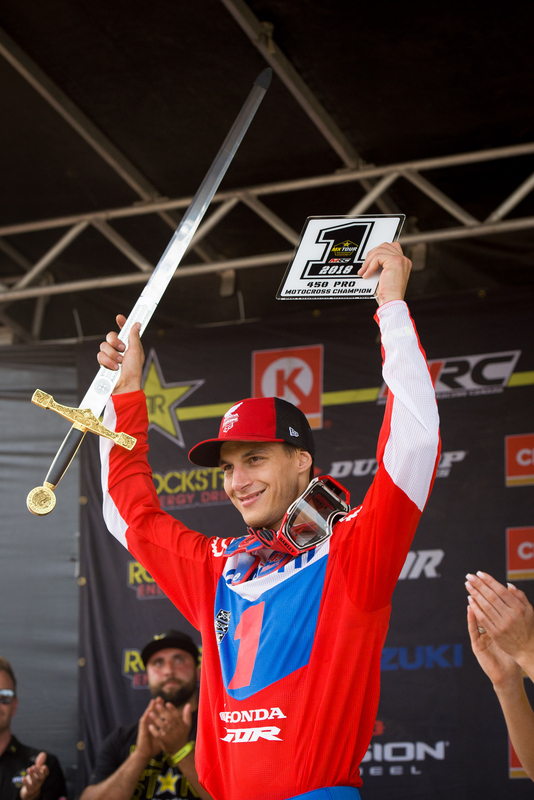 Another King of Walton sword and a fifth Canadian Championship for Facciotti, who’s climbing the ranks of All-time greats in Canadian Motocross history. Five of these now for the Canadian legend.